Richard Norton is a martial arts icon, body guard to the rich and famous and an international movie star. A man to be envied, there doesn’t seem to be much that Richard hasn’t done. 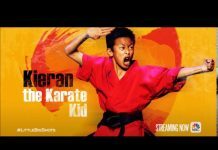 His experience and expertise on the movie screen is eclipsed by his prowess and knowledge as a martial artist, exercise science practitioner, communication master and sports psychology expert. His training experience in the martial arts goes back 43 years. Richard first gained notoriety as a martial artist in the seventies when he worked along side his lifelong friend, Bob Jones, in the development of the world famous Zen do Kai system of karate. It was during this period that Richard was introduced to famous movie actor Chuck Norris, an introduction that would change his life for the better in years to come. During his time with the Zen Do Kai organisation, Richard found work as a bodyguard, and began working for top celebrities such as David Bowie, James Taylor, Linda Ronstadt, the Rolling Stones, Stevie Nicks and the late John Belushi just to name a few. Not one to rest on his laurels, Richard continued to train in a variety of other arts over the years and in true Richard Norton form has gone on to achieve the following list of impressive martial arts credentials; 5th Dan Shihan International Goju Karate under Hanshi Tino Ceberano, 5th Degree Black Belt personally awarded by Chuck Norris in Chun Kuk Do, and coveted Black Belt in Brazilian Jiu Jitsu under the legendary BJJ Grand Master Jean Jacques Machado. The International College of Kenshuseic is honored to acquire the expert services of such an industry stalwart. Richard’s friendship with Chuck Norris continued and Chuck, impressed with Richards physical presence, offered Richard an opportunity to enter the movie industry. 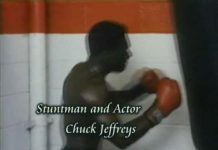 He was cast as a villain in Norris’ The Octagon (1980) and quickly found other work as the popularity of the martial arts film industry began to grow in the US. Richard has spent the last 25 years working in America and Hong Kong, he has gone on to become one of the most recognized faces in Hong Kong cinema today, having appeared as the main villain in two, Jackie Chan films. During the mid-1980’s, there was a trend which included fighters of all different styles and looks into Hong Kong action movies in order to increase the international audience, and Richard Norton’s tough persona and background in stuntwork (which he had learned on the sets of US movies) made him a perfect fit into this mold. 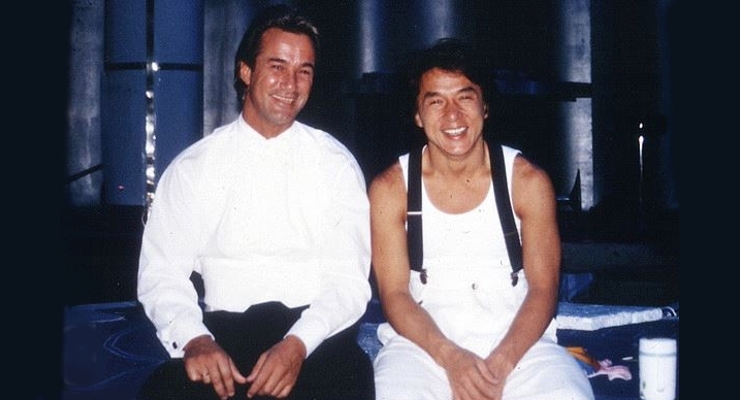 Richard Norton made his Hong Kong debut with the all-star Jackie Chan and Sammo Hung collaboration Twinkle, Twinkle Lucky Stars (1985) and appeared in a few other Hong Kong movies, including Magic Crystal (1986) and Millionaire’s Express (1986) Both of these films also featured another popular martial arts movie personality, Cynthia Rothrock. Richard Norton eventually returned to the United States, where the rise in popularity of home video had created a need for product to fill the shelves of video stores, and martial arts movies were quickly becoming a favorite of renters. Richard appeared in a string of films, which provided him a steady paycheck. Most of his notable movies from this period (such as the China O’Brien series) re-teamed him with Cynthia Rothrock, though he occasionally stepped out on his own. In 1992, he returned to Hong Kong to take a dream job — playing the villain in Jackie Chan’s City Hunter. The proceeds from the movie allowed Richard Norton to step into the realm of producer with Honor and Glory (1993). Stepping away from films for a while, Richard turned his attention to television; in 1993 he began working as a fight coordinator for his friend Chuck Norris on his show Walker, Texas Ranger, where he appeared in guest roles. 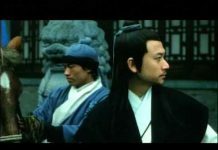 He also appeared in one of the first interactive movies, Shadow Warrior, which filmed its footage at the famous Shaw Bros. studio’s “Shaw Town” backlot. 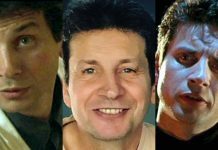 During recent years, Richard has been dividing his time between working on American projects, as well as those in Australia, where a booming film industry has created a gap for local action movies which Richard is only too happy to fill. 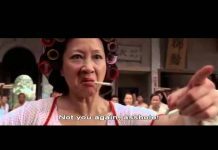 Of course, his most visible role for Hong Kong film fans has been as the villain in another Jackie Chan movie, Mr. Nice Guy (1997). 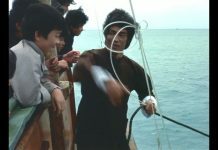 However, Richard Norton was not able to engage in a climatic fight with Chan because Chan suffered an injury during a stunt. Richard has been working steadily in films for twenty five years now and continues to be a solid worker in the movie industry. 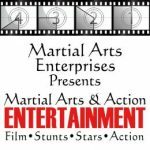 Richard Norton has trained in many countries with the world’s best martial artists. from Brazilian Jiu Jitsu in Brazil, Iado and Karate in Japan and numerous systems in the USA with training partners such as Chuck Norris, Benny “the Jet” Urquides, Bill Wallace and others.